New to the rental market this one bedroom, furnished modern flat minutes walk away from Glasgow Green and City Centre. The flat offers great accommodation with the benefits of residents parking and secure entry. 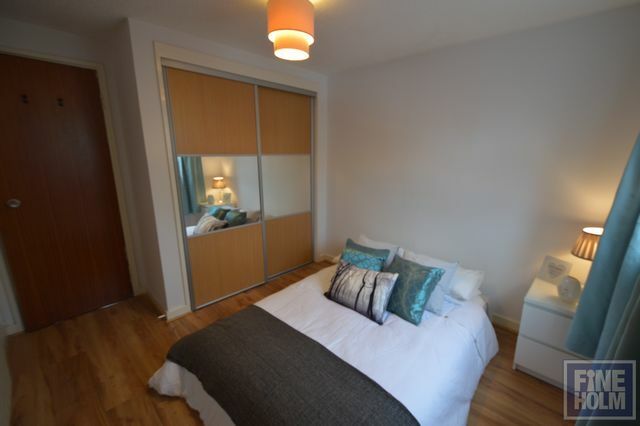 The flat comprises of entrance hallway, large storage cupboard, spacious and bright L shaped lounge with dining area. Bedroom has fitted wardrobes. Double windows make it very light and bright. Modern breakfasting kitchen with integrated oven, hob, fridge freezer. Fully tiled bathroom comprising of three-piece suite with electric shower above bath. Further benefits include double glazing and electric heating. Council Tax B. Excellent transport links and short walk to Bridgeton Cross and station. This is a fantastic flat for professionals or couples looking to be close to the City Centre.